1956 – The U.S. Semi Automatic Ground Environment (SAGE) was disclosed to the public. SAGE is a computer that connected hundreds of radar stations in the US and Canada as a one-stop monitoring of the sky. SAGE was commissioned and developed by MIT. 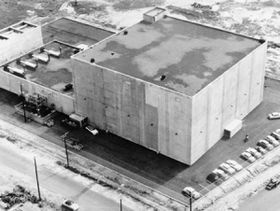 The project started in 1950 and SAGE became fully operational on June 26, 1958 (DC-01). By 1980, many SAGE sites were fully dismantled as other airborne detection systems took its place. Next story January 17, 2012: Jerry Yang Resignes from Yahoo!